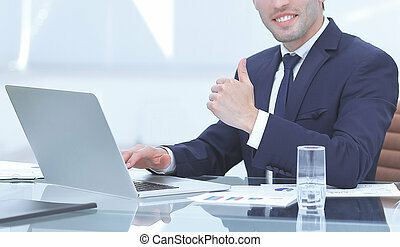 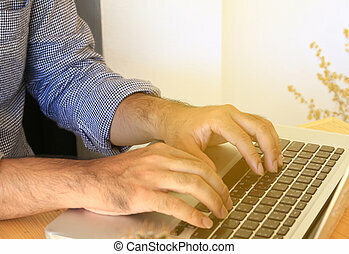 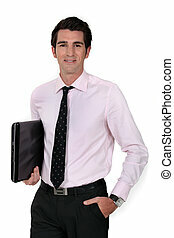 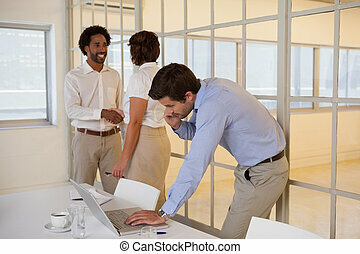 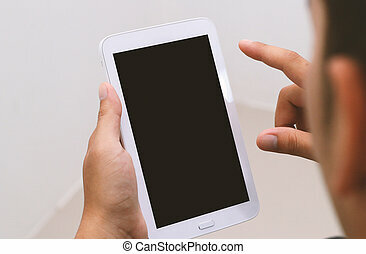 close up.smiling businessman working on laptop and showing thumb up. 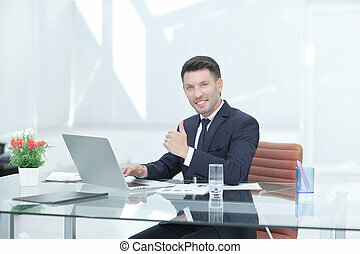 Businessman using laptop.Social media concept. 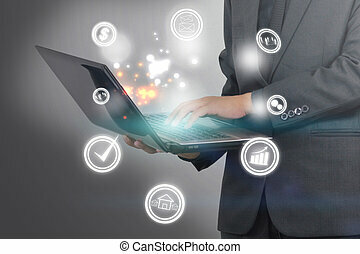 Businessman using laptop with social icons. 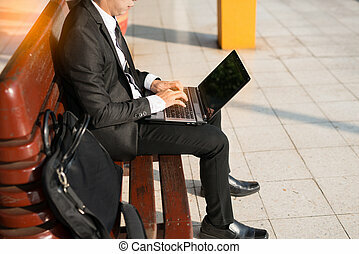 Businessman using laptop. 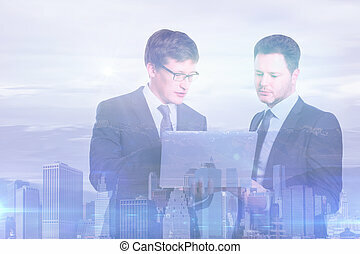 Business connection concept. 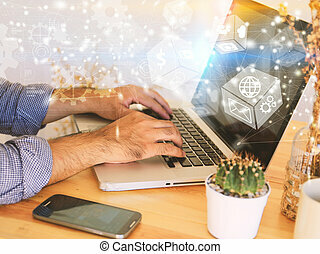 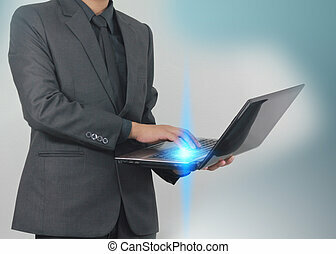 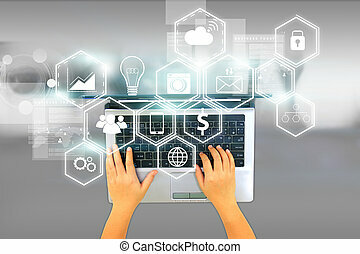 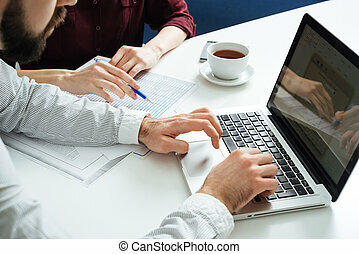 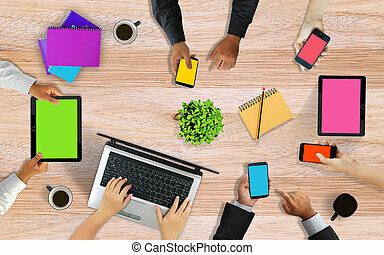 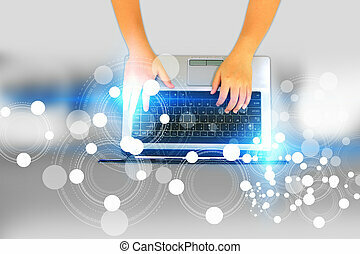 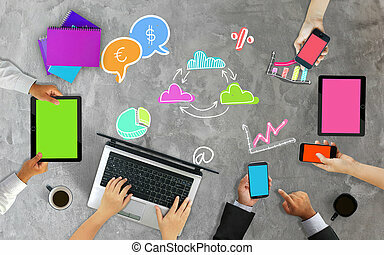 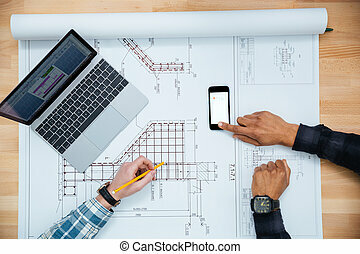 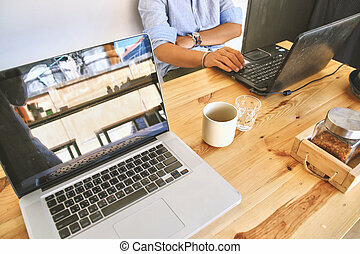 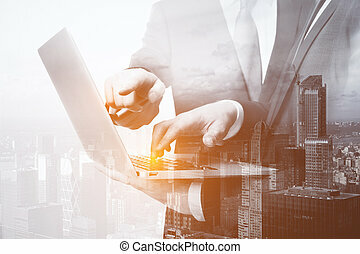 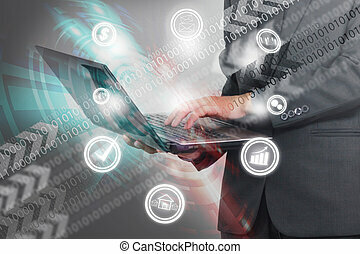 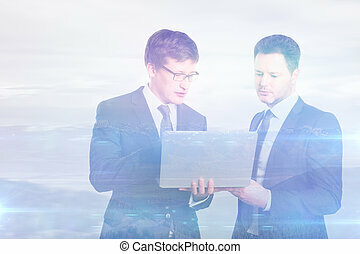 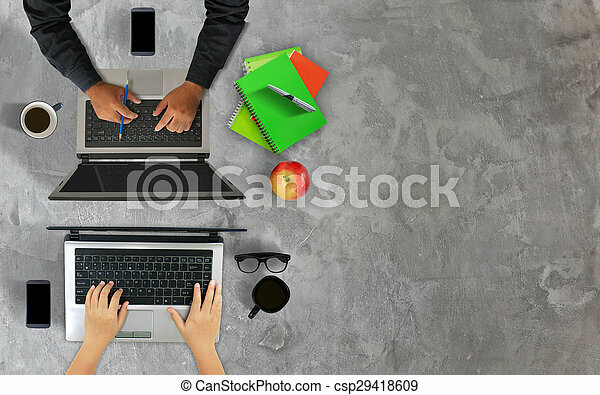 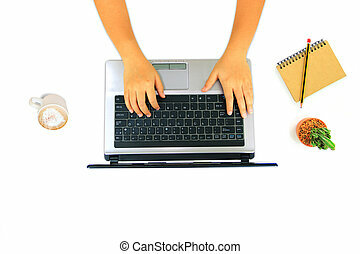 Businessman working on laptop with business icons. 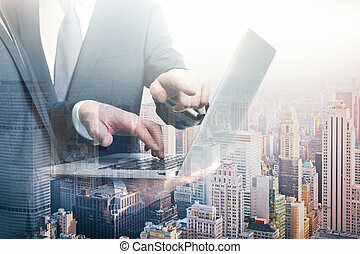 Businessman using laptop with network on screen.